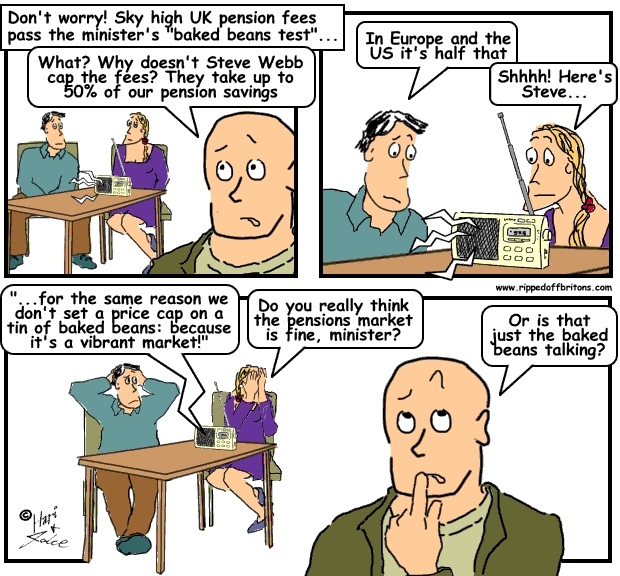 Pensions minister Steve Webb says there is no need for price controls in the "vibrant" pensions market. Asked about the possibility of a cap on charges, he said: "Why doesn't the Government set a price cap on a tin of baked beans? We don't need to because there's a vibrant market, people have lots of choice." Many workers and employers with little previous experience of pension saving will invest in poor value deals, say critics. Pension costs are ballooning out of control? Actually, the share of GDP going in pay and pensions has been DROPPING!